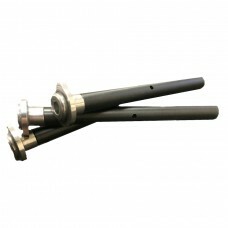 Lightweight and durable guide rod for 1911/2011 Pistols. Easy to use and specially designed. Made using Delrin, which is a polymer with an excellent balance of properties that bridges the gap between metal and plastic. Delrin is known for low moisture absorption, high tensile strength, creep resistance, and durability. With chemical resistance to hydrocarbons, solvents and natural chemicals, Delrin rods are ideal for shooting sport competition uses. Delrin Guide rods are great when you are trying to reduce weight off the front of gun. Alot of USPSA/IDPA shooters, use these guide rods to make the weight requirements.